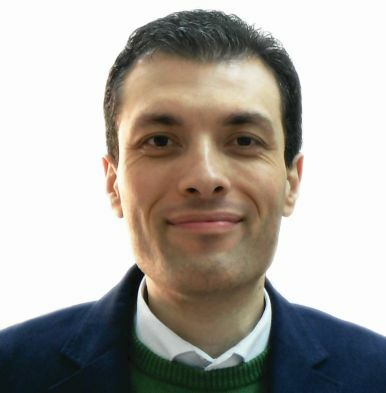 Dr. Ruben Cauchi obtained his Ph.D. from the University of Oxford, UK, working on genetic animal models of motor neuron disease and went on to do postdoctoral research at the MRC Laboratory of Molecular Biology, University of Cambridge, UK, studying RNA processing. He is a Senior Lecturer at the Department of Physiology and Biochemistry, University of Malta and a Visiting Lecturer (2014-2015) at the Department of Biological Sciences, University of Chester (UK). Dr. Cauchi directs research on the role of RNA-binding proteins in motor neuron degeneration, making use of functional genetic approaches, and participates in a collaborative effort with the pharmaceutical industry aimed at discovering drugs that ameliorate neurodegenerative conditions. A well-published academic, Dr. Cauchi has recently edited a volume entitled ‘Drosophila melanogaster Models of Motor Neuron Disease’ featuring contributions by established leaders in the field working in world-class research centres. He serves as an ad hoc reviewer for top-tier journals, including the PLoS family, as well as funding bodies including Biotechnology and Biological Sciences Research Council (UK), Medical Research Council (UK), Medical Research Foundation (UK), Association Française contre les Myopathies (AFM)-Telethon (France), Agence Nationale de la Recherche (France) and SMA Europe. Dr. Cauchi is presently the Malta representative of the E.U. Cooperation in Science and Technology (COST) Action focusing on the clinical application of antisense-mediated exon skipping in neuromuscular disease. Borg, R.M., Bordonne, R., Vassallo, N. & Cauchi, R.J. 2015, “Genetic Interactions between the Members of the SMN-Gemins Complex in Drosophila“, PloS one, vol. 10, no. 6, pp. e0130974. Cauchi, R.J. 2014, “Gem Depletion: Amyotrophic Lateral Sclerosis and Spinal Muscular Atrophy Crossover“, CNS Neurosci Ther., vol. 20, no. 7, pp. 574-581. Borg, R. & Cauchi, R.J. 2013, “The Gemin Associates of Survival Motor Neuron Are Required for Motor Function in Drosophila“, PloS one, vol. 8, no. 12, pp. e83878. Cauchi, R.J. (ed) 2013, “Drosophila melanogaster Models of Motor Neuron Disease”, Nova Biomedical, New York. Cauchi, R.J. 2011, “Gem formation upon constitutive Gemin3 overexpression in Drosophila“, Cell Biol Int., vol. 35, no. 12, pp. 1233-1238. Cauchi, R.J. 2010, “SMN and Gemins: ‘we are family’ … or are we? Insights into the partnership between Gemins and the spinal muscular atrophy disease protein SMN“, Bioessays., vol. 32, no. 12, pp. 1077-1089. Cauchi, R.J., Sanchez-Pulido, L. & Liu, J.L. 2010, “Drosophila SMN complex proteins Gemin2, Gemin3, and Gemin5 are components of U bodies“, Exp Cell Res., vol. 316, no. 14, pp. 2354-2364. Cauchi, R.J., Davies, K.E. & Liu, J.L. 2008, “A motor function for the DEAD-box RNA helicase, Gemin3, in Drosophila“, PLoS Genet., vol. 4, no. 11, pp. e1000265. Lee, S., Sayin, A., Cauchi, R.J., Grice, S., Burdett, H., Baban, D. & van den Heuvel, M. 2008, “Genome-wide expression analysis of a spinal muscular atrophy model: towards discovery of new drug targets“, PLoS One, vol. 3, no. 1, pp. e1404. Cauchi, R.J. & van den Heuvel, M. 2006, “The fly as a model for neurodegenerative diseases: is it worth the jump?“, Neurodegener Dis., vol. 3, no. 6, pp. 338-356.